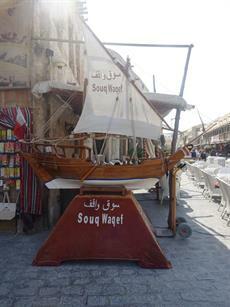 Check out the second round of pictures from C&IT and Qatar Tourism Authority's Complete Qatar fam trip, including a trip to Doha's historic Souq Waqif. Event planners from a mix of international associations and event agencies, including the Association of MBAs, the Urban Land Institute and Top Banana, flew out to Qatar on Saturday for the four-day event (29 October-2 November), which is taking place at host venue The Grand Hyatt Doha. After a day traversing the stunning desert and inland sea on the outskirts of Doha, the Complete Qatar delegation took time to experience Doha's cultural hightlights, including the historic Souq Waqif and the impressive Museum of Islamic Culture. 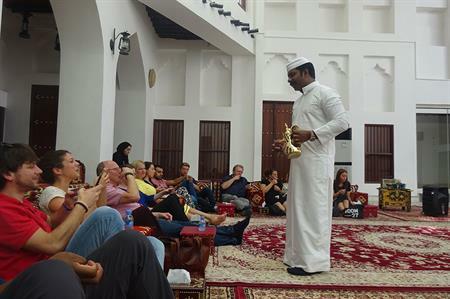 Embrace Doha, the Qatari culture specialists, invited the group into its traditional Arabian house where they learned more about Islamic traditions during a culture session of the Souq Waqif and before enjoying a traditional Qatari lunch. A tour of the hundreds of shops and market stalls followed, where hand-woven silk carpets were on sale for upwards of £20,000, hundreds of natural herbs and spices used for healing and medicinal purposes created enchanting aromas and a state-of-the-art falcon hospital included its own falcon waiting room. The group then transferred to the modern and striking Musuem of Islamic Art, overlooking the inland sea, for a tour and discussion of the venue's range of meeting spaces, before a guided walk through of the many historic Islamic exhibits spanning the centuries. Dinner for the evening was hosted by The Ritz Carlton, Doha. The hotel's garden was transformed into an alternative picnic with sumptuous Italian sharing plates filling empty stomachs, and then some!